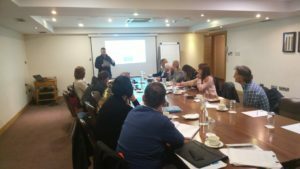 On the 22nd – 24th of April 2018 the 2nd project meeting of the Memtrain project took place in Dublin, Ireland. The aim of the meeting was to share information about the pilot testing of the MemTrain programme and to draw conclusions from them. 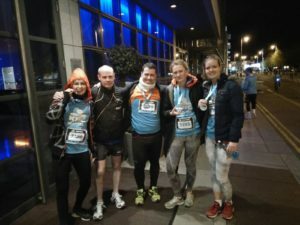 Thanks to Athletics Ireland, the organizer of the meeting, the partners had the possibility to warm up before the project work through the participation in the Night Run Dublin. 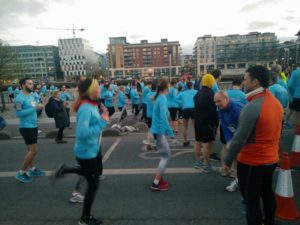 The 10K event started at North Wall Quay and took the runners, among them 6 MemTrain participants, around a scenic route along the Grand Canal Dock and City Quays. On Monday, participants met in the morning to discuss the pilot testing which took place in 5 countries starting in Autumn 2017 and finishing in the early 2018. Each of the partners presented their experience with the pilot testing. Even if the groups of seniors taking part in the pilot testing in the partner countries were differently structured and numerous, some of the experience was the same across the partnership. 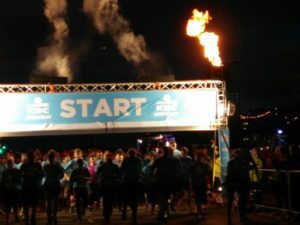 In general a bad thing about planning the pilot testing was that the first classes started before Christmas and in some of the partner countries there was a holiday break in the middle of the pilot course. All partners also agreed that it was difficult to test the seniors using tablets and smart phones. The seniors did the Stroop test on their first class of the pilot programme and then on the last class, while the partners measured their reaction times and number of correct answers using the project application. “Even if there was an improvement in the achievements of the seniors, we cannot eliminate the learning bias – for some of them it was the first time they used such a tool,” explains Diego Pastor from the University Miguel Hernández in Elche. In all the countries the trainers perceived the dislike towards all kind of testing from the senior and the fear of failure. After the presentations of the partners, the representatives of UMH de Elche presented the data analysis – the results of the pilot testing, the comparison of the countries and comparison of the pre-test and post-test. The most important thing to say is that it is not possible to draw conclusions because there was no control group being tested and also the pilot programmes differed significantly between the participating countries. Nevertheless, there is improvement to be seen in the Stroop test, in the Up&Go test and in the 6 min walk test. 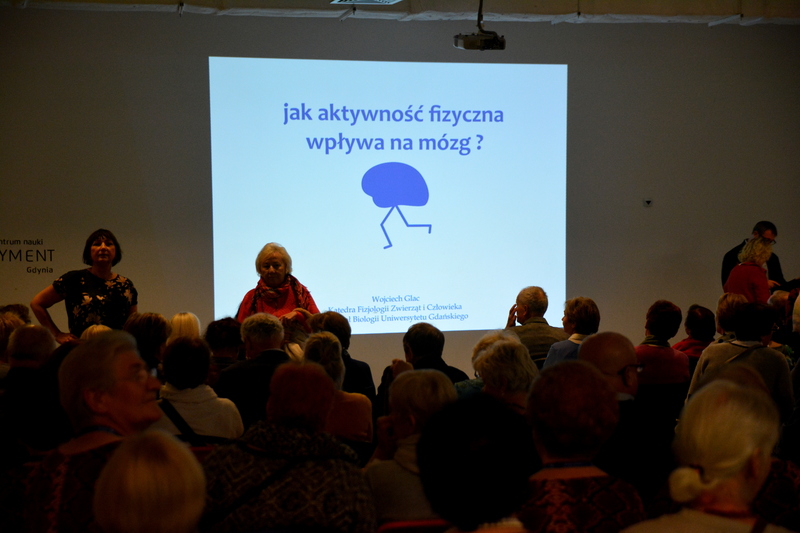 The feedback received from seniors shows that they preferred mixing the physical activity with the memory training more frequently and that they would like to continue in this kind of programme. 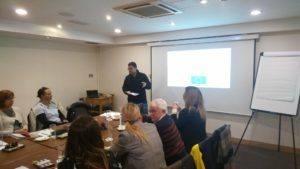 In the second part of the meeting the partners discussed the administrative and financial issues of the project and agreed on the next steps which have to be made, on the next tasks and responsibilities. Before the partners said good bye to each other, they attended a guided tour of Dublin, which ended in the world famous Guinness Brewery. The next (and last) meeting of the project will take place in Prague in September.